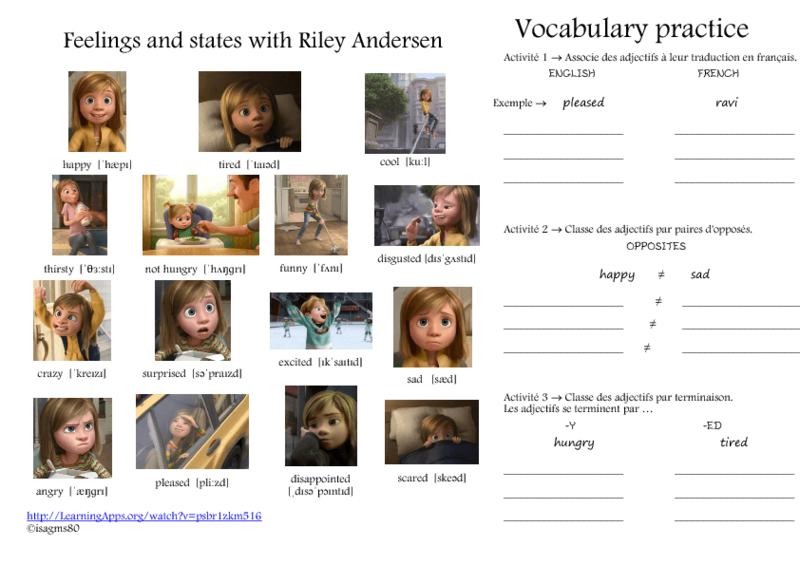 Learning new adjectives with Riley Andersen, a major character in the 2015 Disney/Pixar animated film Inside Out. This is an easy worksheet for young learners, perfect to practise new words for feelings and states. There are three activities to help students memorize the adjectives.